China tightened security in its northwestern province of Xinjiang on Tuesday following an attack that killed 16 police officers just days before Beijing hosts the Olympics. China tightened security in its northwestern province of Xinjiang on Tuesday in the aftermath of an attack that killed 16 police officers just days before Beijing hosts the Olympics. Chinese authorities said Tuesday that the two men who carried out Monday's bomb attack in the city of Kashgar were carrying documents calling for a holy war. An official in Xinjiang province said 18 "foreign agitators" have been arrested following the attack, which also injured 16 other officers, the Reuters news agency reported. Meanwhile, two Japanese journalists were arrested and beaten at the scene of the attack in Kashgar before being released early Tuesday morning. Local officials apologized later in the day to the men and other foreign reporters who had also been involved, a spokesman at one of the journalists' companies said. While the attack occurred 4,000 kilometres from Beijing, officials insisted they were "confident" of holding a safe Olympics for athletes and spectators. In the capital, more than 100,000 police and soldiers were on standby ahead of Friday's Olympics opening ceremonies. 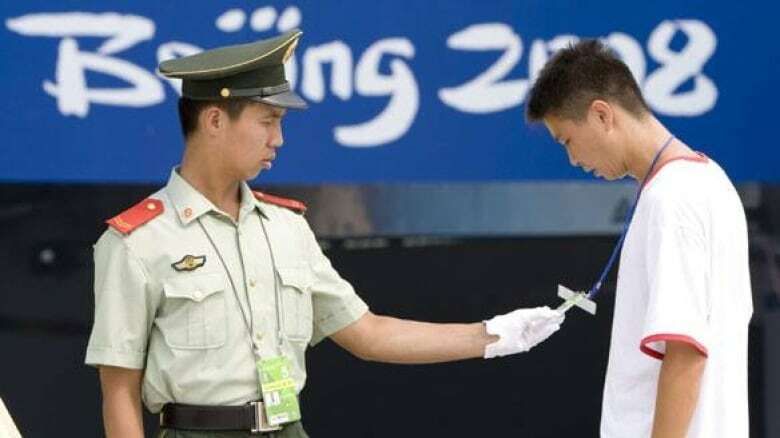 "Currently all security measures relating to the Olympic Games have been implemented in a comprehensive manner, and we are prepared to respond to all kinds of security threats," China's official Xinhua news agency quoted Sun Weide, a media official for the Games organizing committee, as saying Tuesday. Authorities have reinforced police checkpoints at roads leading into Kashgar, with police boarding buses to search passengers' bags, Xinhua reported. A full security alert has been issued in public places, including government office buildings, schools and hospitals, Xinhua said. Police confirmed the two men who killed the officers were Uyghurs, members of a significant Muslim minority in the northwestern province. The minority group has waged a sporadically violent rebellion against Chinese rule. Police clarified that rather than attacking a police station, as initially alleged, the two suspects targeted a group of about 70 police officers who were out jogging. Police also said the two men used homemade explosives, rather than grenades as originally thought. One attacker's arms were blown off shortly after he lit a fuse. After subduing the attackers, police found the documents calling for a holy war, as well as a firearm and 10 more bombs, authorities said.